Well here we are again, the holiday season is upon us. Life has been good to you and you’re feeling like you want to give back a little. If that’s the case, here’s a few suggestions to help fan the flame of that holiday spirit. The fire department holds their annual Christmas Toy Drive November 26 through December 24. You can bring new, unwrapped toys to any fire department during this period and they will distribute them to needy children. They also take donations year round for the Orange County Fire Authority Benevolent Association. This fund was formally set up in 1986 to assist firefighters who are injured, ill or have a catastrophic event within their immediate family. To donate to OCFAB, call 714-547-3180. The CSP, Inc. in Laguna Beach is a youth shelter in need of items that many of us have sitting around our homes never been opened or used. Items like cooking utensils, towels and art supplies, to name a few. These are kids whose ages range from 11 to 17, who find themselves in a sort of gray area for placement and are in real need of a little kindness. Things like bowling passes, movie tickets, CD’s or gift certificates from department stores that can be used to buy clothing would make their holidays a whole lot nicer. If you want to give of your time, how about mentoring? They could do with some guidance to keep them on the straight and narrow. If interested, call 949-494-4311 or visit their website at www.cpinc.org. With your help, Laura’s House can brighten up the holiday season for families who are victims of domestic abuse. For the Thanksgiving holiday they are seeking donations in the form of a food basket. One that would accommodate a family of five to eight people. Basket items would include, gift certificates for a frozen turkey or ham, a disposable aluminum roasting pan, boxed instant potatoes, canned yams, stuffing mix, canned vegetables, cranberry sauce, jars of gravy, and boxed deserts. Please, no perishable food items. For Christmas, Laura’s House is seeking Santa’s helpers to adopt a family. Each family fills out a detailed wish list for the parent and each of the children, which may include clothing as well as toys. They ask that the gifts be new and unwrapped. You may add other items such as ornaments, decorations, food and sweets. They are also looking for volunteers to help with these families throughout the year as their situation goes on and on. For more information, contact, Martha Offutt, Adopt a Family Coordinator at 949-361-3775 ext. 209. The FOSOM’s have been helping our Marine families based at Camp Pendleton. There are over 1200 families living in the San Onofre base housing. In 2003, they organized a huge Christmas party with toys for over 1500 children. Easter of this year they were able to give out over 1500 Easter baskets. There is a huge strain on the families as many of them has at least one parent presently stationed in Iraq. FOSOM is seeking donations to buy food to be distributed this holiday season. Gift cards from any of the major supermarket chains would be greatly appreciated. Donations are tax deductible. If you would like to help, send your checks to Friends of San Onofre Marines, P.O. 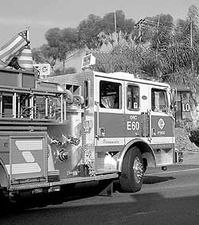 Box 73361, San Clemente, Ca. 92673. Feel like taking a walk? Family Assistance Ministries will be hosting their 19th annual South County Hunger Walk. Walkers who have $100.00 or more pledged will receive a free T- shirt. One hundred percent of the proceeds from this event go back into the community in the form of Client Aid. This aid consists of rental and utility assistance, gas vouchers, bus passes, prescriptions and food. You can sign up at any local church or by calling the FAM office at 492-8477. Volunteers are needed to for the 3rd Annual Community Thanksgiving Feast to be held at the San Clemente Community Center on Wednesday, November 24 @ 6 pm. Volunteers are also needed on Saturday, December 18th @ 11 am for the 3rd Annual Community Christmas Event. Help is needed with cooking, serving, decorating, or any of the other important jobs required to put on these two mega feasts. Call the FAM office at 492-8477 for more information. 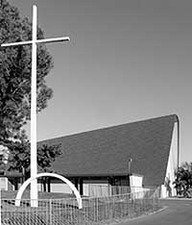 Our Savior Lutheran Church, on the corner of San Pablo and San Gabriel, works closely with these previous two charities by collecting donations, nonperishable food and baby items, ie: diapers, wipes, etc., to be distributed not only during the holidays, but throughout the year. Another of OSLC’s projects is a concert for Habitat for Humanity that is being held on Sunday, December 14th. Musicians from Our Savior’s will perform in concert at Concordia University. Proceeds from the concert will help fund a Habitat being built in Cypress, Ca. Tickets will be available to the public through the church or Habitat for Humanity of Orange County in mid-November. Got a sweet tooth? The Kiwanis Club will be selling See’s Candy for the three weeks preceding Christmas in front of the Ralph’s supermarket. Proceeds will fund their many holiday philanthropic endeavors.